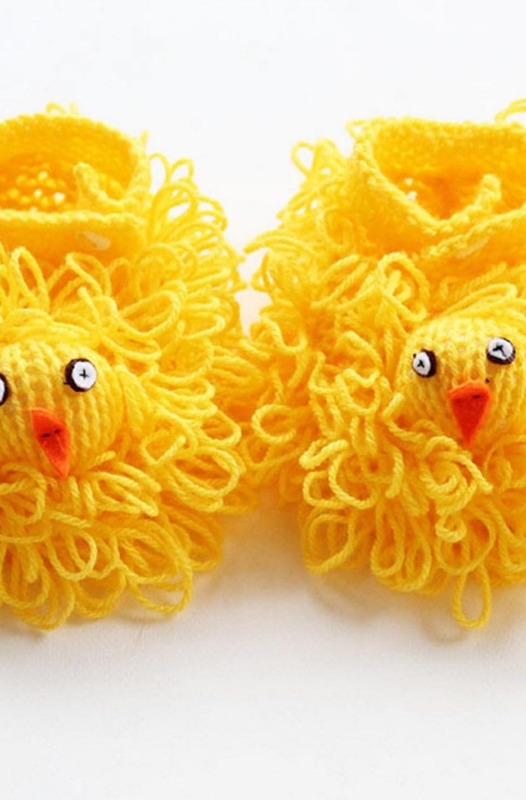 Make a sweet pair of bunny slippers for your baby this Easter. This pattern is fairly easy, with the booties and ears knit flat and then seamed. 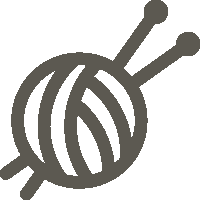 They also knit up fairly quickly, so if you have an afternoon spare one weekend, you can make them in around 3-4 hours, while watching your current series for a bit of knitflixing! 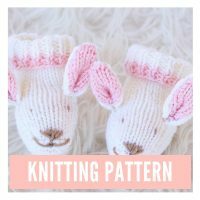 This pattern is great for beginners as it uses basic knitting stitches – knit and purl, while also introducing you to increasing and decreasing to shape. I have included a list of knitting abbreviations at the end of the post and instructions on how to make up the finished product. They are similar to another pattern I have for bunny booties, but this pattern can be made in 3 different sizes. The baby booties have 3 sizes – 0-3 months, 3-6 months and 6-9 months. Knit with a double knit yarn, the booties are soft and with the ribbed cuff should stay on baby’s feet. 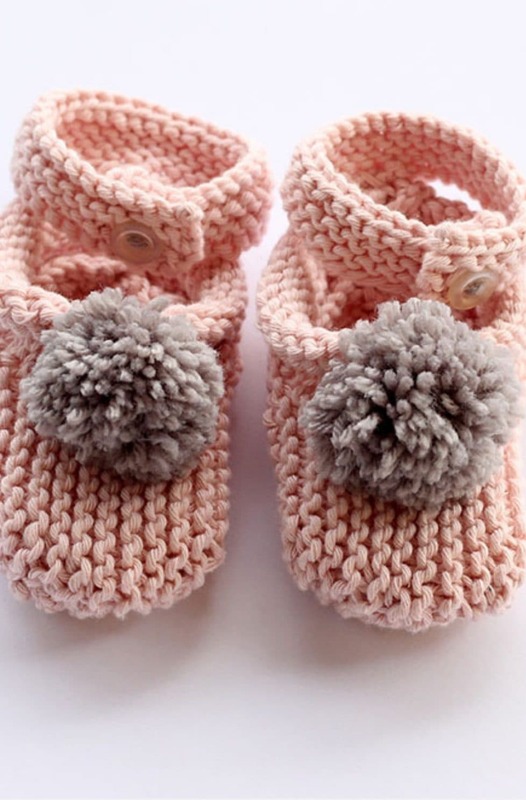 If you would like to see a pattern similar please take a look at these knitted baby booties. I have made the baby slippers using Sirdar Snuggly double knitting yarn in white (and a little pink for the ears). There are so many good DK (double knit) yarns out there to choose from, so you could make in any yarn or colour combo you like! Lion Brand, Sublime yarns and Debbie Bliss also have a great range to choose from, in a range of colours. The free knitting pattern for baby booties on two needles is easy to follow, making each slipper flat and seaming. The ears can be adapted to your own specifications – making them shorter or longer. You can also experiment with the eyes and nose, adding a smile, closed eyes or some pink to the nose. 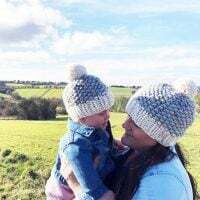 If you want to make more items for baby, take a look at my baby knitting pattern library, where there are many patterns to choose from. Including hats, sweaters, cardigans and more. You can also make a matching Easter bunny hat with a free pattern available to make in three sizes. 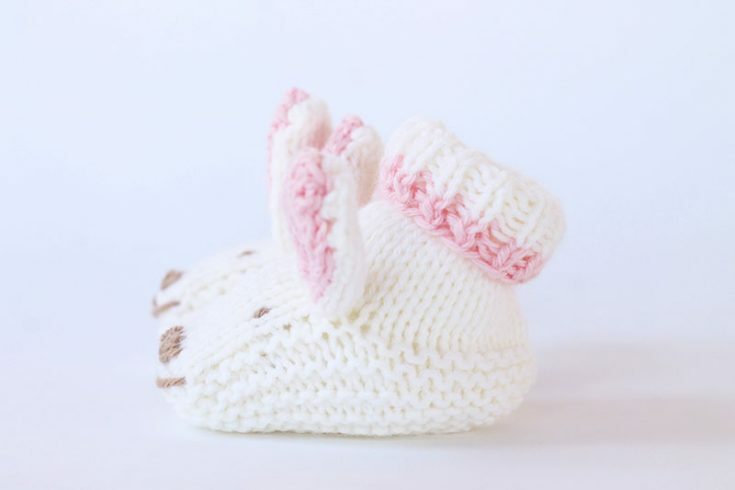 Make a pair of bunny slippers for baby this Easter with this easy pattern. Scraps of DK in pink for the ears. Next row – Purl 9 (11/13) sts, turn. On 9 (11/13) sts work 14 (14/16) rows in stocking stitch. Break yarn. With right side of work facing, rejoin the yarn to the inside edge of the 10 (11/12) stitches and pick up and knit 7 (9/11) sts along the side of the foot, knit across 9 (11/13) sts on the needle, pick up and knit 7 (9/11) sts along the other side of the foot, and finally knit across the remaining 10 (11/12) sts. Work 7 (9/11) rows of garter stitch, every row knit. Row 1 – Knit 2 sts, K2tog, knit 15 (19/23) sts, K2tog, knit 1 st, K2tog, knit 15 (19/23) sts, K2tog, knit 2 sts. Row 3 – Knit 2 sts, K2tog, knit 13 (17/21) sts, K2tog, knit 1 st, K2tog, knit 13 (17/21) sts, K2tog, knit2 sts. Row 5 – Knit 2 sts, K2tog, knit 11 (15/19) sts, K2tog, knit 1 st, K2tog, knit 11 (15/19) sts, K2tog, knit 2 sts. Row 6 – Cast off. Work 10 rows in st,st, dec (K2tog) each end of rows 11, 13 and 15. Change to Yarn A and work 15 rows in st, st, starting with a P row, inc (KFB) each end of rows 2, 4 and 6. Stitch the side seams and fold the bottom in half and place a couple of sts in to hold the shape. Stitch the eyes, nose and mouth into place before you seam the bootie. Weave in all ends along the work, not up to the side, as this will cause a bumpy edge. Lay work out and gently steam. Join the heel and the foot with a flat seam. Stitch the ears into place, one on either side of the bootie. This pair of baby booties knits up quickly in double knit yarn, and the simple design makes for a relaxing and enjoyable knit.